Scott Eriksen is a junior studying Music Education from Oswego, Illinois. At the University of Illinois, Scott is a member of the horn section in the Illinois Wind Orchestra, and one of the Mellophone section leaders for the Athletic Bands. 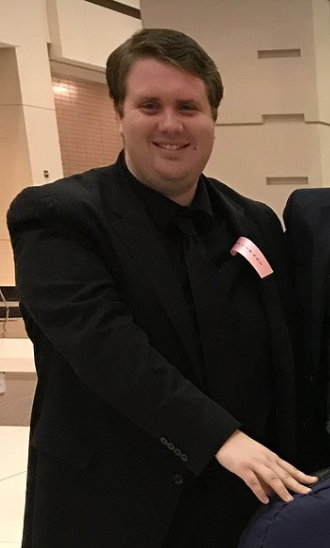 Scott joined Sinfonia in the spring of his freshman year, and has served on the executive board as the Alumni Relations Officer in 2017 before becoming President. Brandon Berg is a sophomore Music Education major from Streamwood, Illinois. Brandon is also the Vice President for the National Band Association at the UIUC chapter. This semester Brandon is a member of the Wind Orchestra as one of the trumpet players. 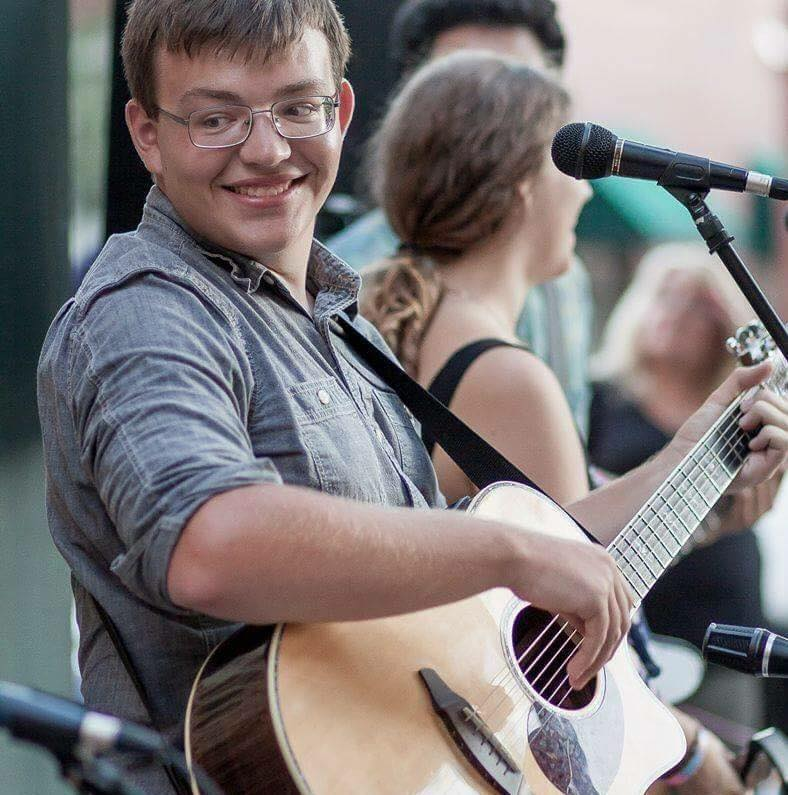 Brandon joined Phi Mu Alpha to seek brotherhood in music, and during his spare time, can be found either writing music, or binge-watching Grey’s Anatomy. 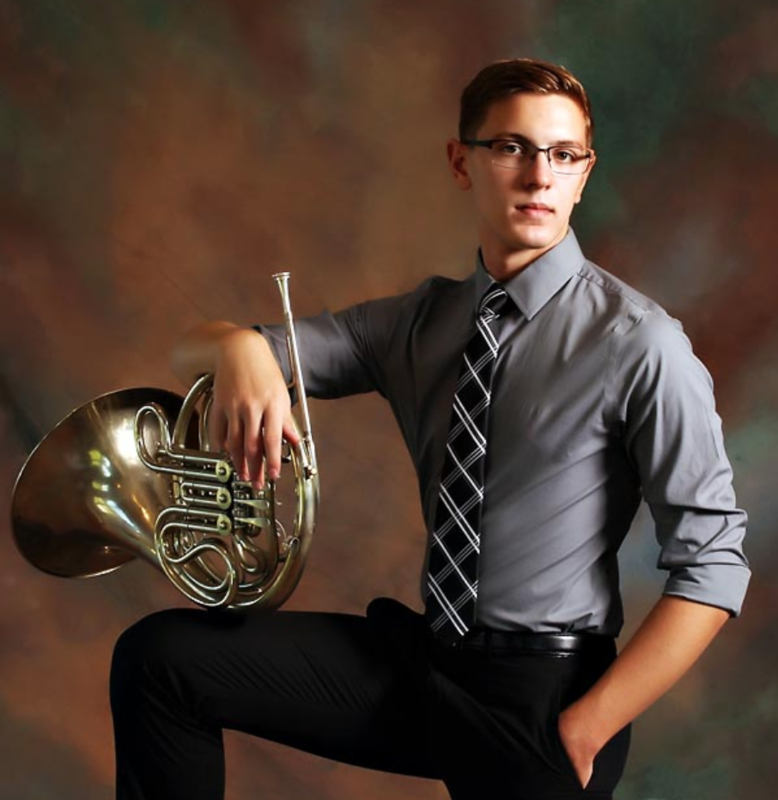 Clark Stevens is a sophomore from Conrad, Iowa studying French Horn Performance and pursuing a Pre-Med track. 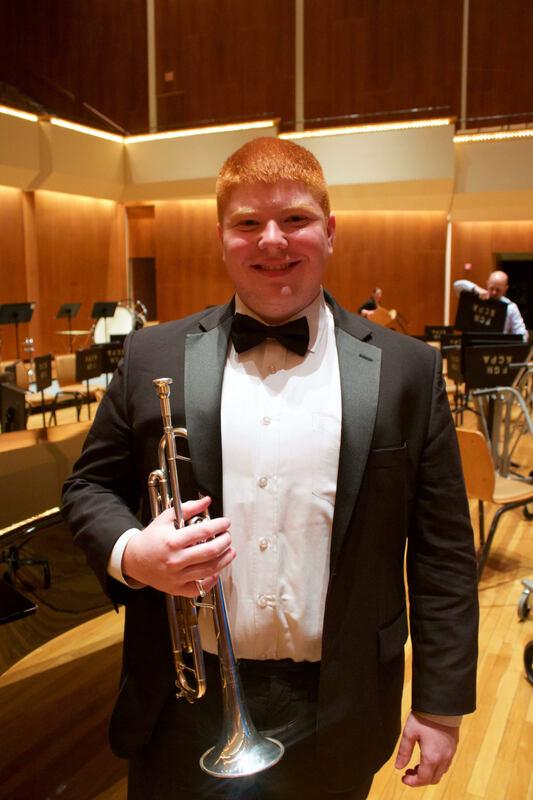 Clark has performed with the Illinois Wind Orchestra and UI Symphony Orchestra. Additionally, Clark enjoys playing in small chamber ensembles. 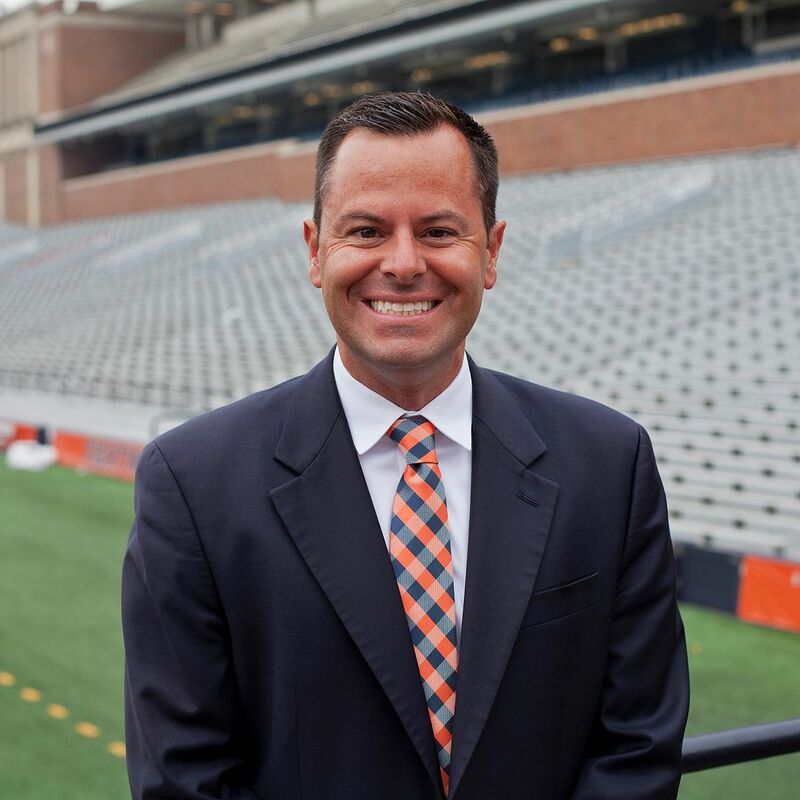 Outside of music, Clark is involved with IlliniThon and College of FAA Ambassadors. In his free time, Clark enjoys reading, running, cooking, and spending time outdoors. Clark joined Sinfonia for the musical, service, and philanthropic opportunities it provided. Matt Woytek is a junior in Mechanical Engineering. 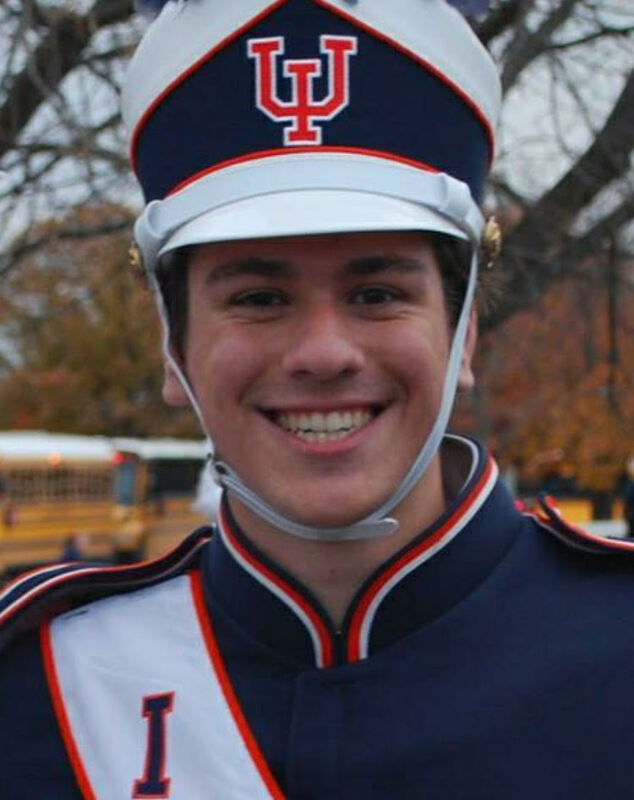 When not studying at the library until 3 a.m. or living and breathing Marching Illini, Matt enjoys attending Fighting Illini sporting events, hanging out with other musicians, and gaming. As an Eagle Scout, Matt has found Sinfonia to be another way for him to help both his peers and the community. 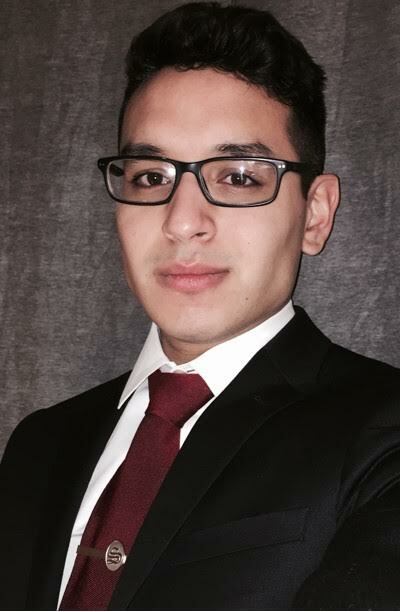 Joseph Leon is a junior within the Division of General Studies. Little did he know, his journey to become a Sinfonian began in Plainfield, Illinois, where he started his lifelong journey of seeking the best in music and brotherhood. 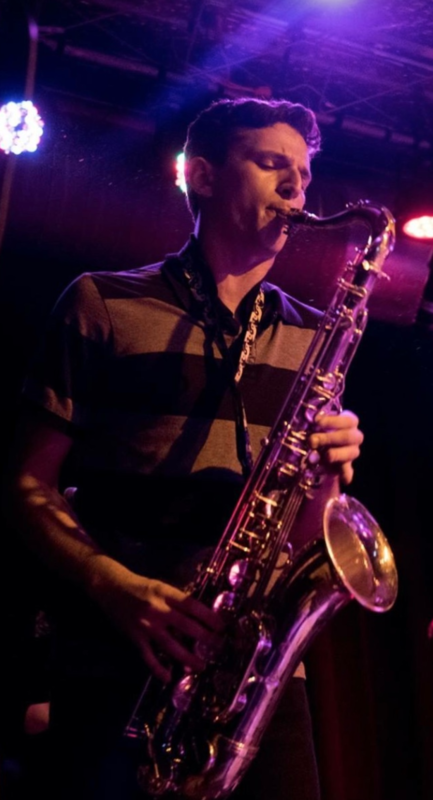 As a collegiate member today, he shares his love of music by participating in multiple ensembles throughout the University as a saxophonist. Austin Coe is a junior in Music Education with a primary focus in instrumental education. Austin performs in numerous ensembles at the university including The University of Illinois Marching Illini, the Fighting Illini Basketball Band, the Illinois Wind Orchestra, Tuba-Euphonium Brass Ensemble, and 6th Street Brass. He is also involved in the National Band Association and NAFME. 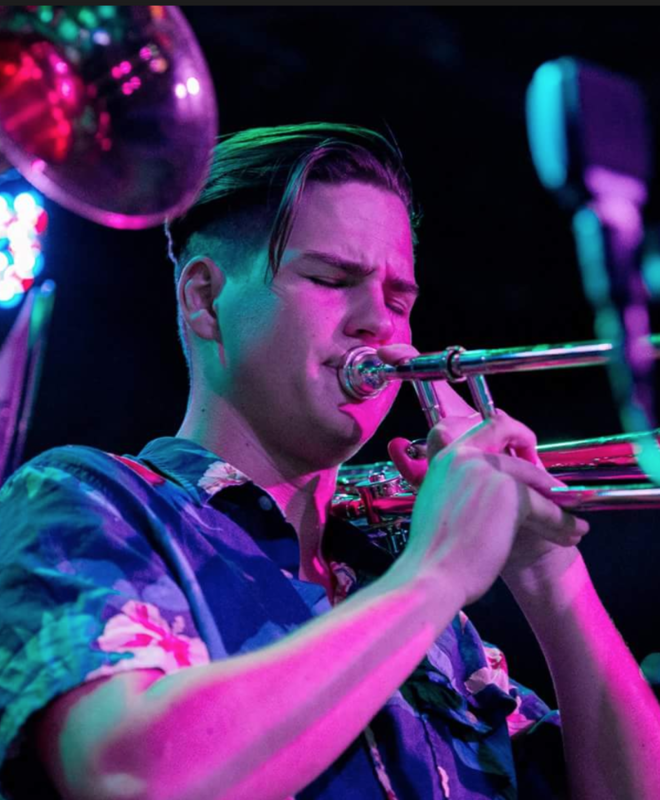 Austin is constantly trying to advance music in America by teaching private lessons and volunteering at music programs in the Champaign-Urbana area. Austin is an avid basketball fan, and enjoys long distance running as well as music composition. Austin joined Sinfonia for the people, seeing it as an organization that gave brothers the opportunity and encouragement to become the best version of themselves. 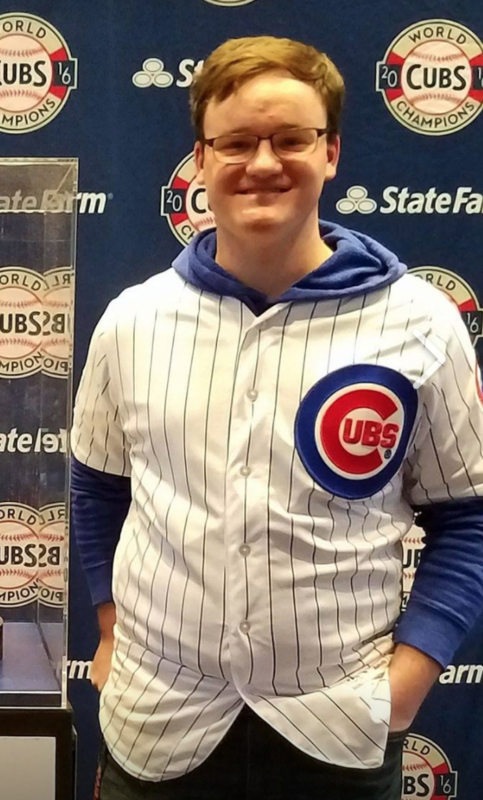 Brian Weis is a junior majoring in Music Education from Libertyville, Illinois. He has performed with many groups at the University of Illinois, including the Marching Illini, Illinois Wind Orchestra, Hindsley Symphonic Band, and Bassoon Studio Ensemble. In the rare moments when doing things not related to band or music, he is frequently playing video games, reading about landmarks on campus, or spending time with his Sinfonian brothers. Ryne Dresbach is currently a sophomore studying Music Education. Nick Ortiz is a sophomore in the Music Education program at Illinois. His love of music drew him to PMA. He spreads his music in the 6th Street Brass Band and the Marching Illini. When he isn’t playing saxophone, Nick enjoys reading, Overwatch tournaments, and yoga. Associate Professor of Voice, Varsity Men's Glee Club, Director Prior to his appointment at the University of Illinois, Professor Coleman was assistant professor of voice at Illinois Wesleyan University and conductor of the Limited Edition Jazz Choral Ensemble. He has performed and recorded as a tenor soloist with the Chicago Symphony Orchestra and Chorus, Music of the Baroque Ensemble, Royal Opera House of Covent Garden, La Fenice (Venice, Italy), Glyndebourne Opera, London Philharmonic and Symphony orchestras, and the Sunday Evening Club of WTTW-TV in Chicago. He has collaborated with such prominent composers as Coleridge Taylor Perkinson and Doug McConnell on various premiere and standard works for voice, as well as performing as jazz pianist with many prominent jazz artists, including Christian McBride, Lonnie Plaxico, and Sam Rivers. Professor Coleman is presently director, arranger, pianist, and vocalist of The Barrington Coleman Trio and a frequent freelance solo jazz artist. In 1990, he and his wife, internationally acclaimed lyric soprano and assistant professor of voice at the University of Illinois, Cynthia Haymon, performed in the world premiere of Richard Blackford's King. Professors Coleman and Haymon also performed in an EMI-label recording and film of Gershwin's Porgy and Bess. In January 1999, Professor Coleman was guest conductor and clinician for the Illinois Music Educators Association All-State High School Chorus, as well as guest conductor for the American Association of Choral Conductors Central Region Male Chorus Conference in Cincinnati, Ohio. 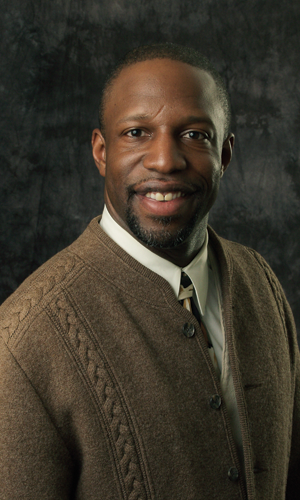 Professor Coleman has served as a guest lecturer and performer for the Krannert Center of the Performing Arts Jazz Immersion concert series and also directed an ensemble at the nationally recognized arts education endeavor, Black Sacred Music Symposium of Illinois, held on the University of Illinois campus in 1999 and 2003. In addition to directing and performing, Professor Coleman has served as an adjudicator for arts programs of universities, high schools, community arts organizations, churches, and an array of professional music associations in America as a classical, jazz, and gospel artist. Teaching Philosophy The gift of singing is rooted in the foundation of God-given components of individual anatomy. The most vital aspect of singing is the ability to develop a healthy, expressive tone and physical approach to singing, which enables aspiring artists to sing comfortably and for a long time. In my teaching I strive to share the vast influences that have enriched my life musically and personally. I help my students focus on the thorough study, analysis, and application of such sensory principles as the coordination and even distribution of breath, the maintenance and discipline of building muscular strength, flexibility, and vitality through the daily application of vocal exercises and assimilation of articulation, and the aural identification of healthy, quality vocal sound. I strive to encourage artistic self-discipline, zeal for research and exploration of diverse styles, periods, and practices, and provide a secure foundation for vocal technique according to the expressive capacity of each individual. Associate Director of Bands, Director of Athletic Bands Barry L. Houser is the Assistant Director of Bands and Director of Athletic Bands where his responsibilities include conducting the Hindsley Symphonic Band, the Athletic Bands, and the Marching Illini in addition to teaching marching band procedures and other courses. Professor Houser’s teaching experience encompasses both extensive public school and university experiences. A native of Indiana, Professor Houser served as Director of Bands and Performing Arts Director at NorthWood High School in Nappanee, Indiana, where his bands developed a reputation for great musicianship which in turn earned the program state and national recognition. Prior to his position at NorthWood, Mr. Houser served as the Assistant Director of Bands at Buchholz High School in Gainesville, Florida. Bands under Houser have performed at the Macy’s Thanksgiving Day Parade, the NBC Today Show, the ISSMA State Marching Finals, and the IMEA State Convention. Other performances include the Indianapolis 500 Parade, the Target Thanksgiving Day Parade, the Outback Bowl Parade and Half-Time Show, the Hollywood Christmas Parade, the Washington DC National Memorial Parade, Chicago Bears Game, and performances with Maynard Ferguson and the Dallas Brass. Houser holds professional memberships in the College Band Directors National Association, National Band Association, MENC, Golden Key National Honor Society, Lambda Chi Alpha Fraternity, Kappa Kappa Psi International Band Fraternity, Honorary member of Tau Beta Sigma, Phi Mu Alpha Sinfonia, and has been honored by the Indiana General Assembly and the US House of Representatives. He is the recipient of the Indianapolis Star Academic All Star Award, the WNDU Channel 16 Excellence in Education Award, as well as being listed in various “Who’s Who” publications throughout his career. Professor Houser is active nationally as a guest conductor and clinician in both the marching and concert mediums. He is one of the directors of the Macy’s Great American Marching Band and has served as Co-Director of the National Events Mass Band, which performs annually at the Chick-Fil-A Bowl in Atlanta, Georgia. He is a recent contributing author for the popular marching band textbook "The System" by Gary Smith. Recently appointed, Houser is starting his first term as Governor of the North Central District of Kappa Kappa Psi. Houser is also the Director and Head Clinician for the renowned Smith Walbridge Clinics, one of the largest marching band / leadership camps of its type in the country.